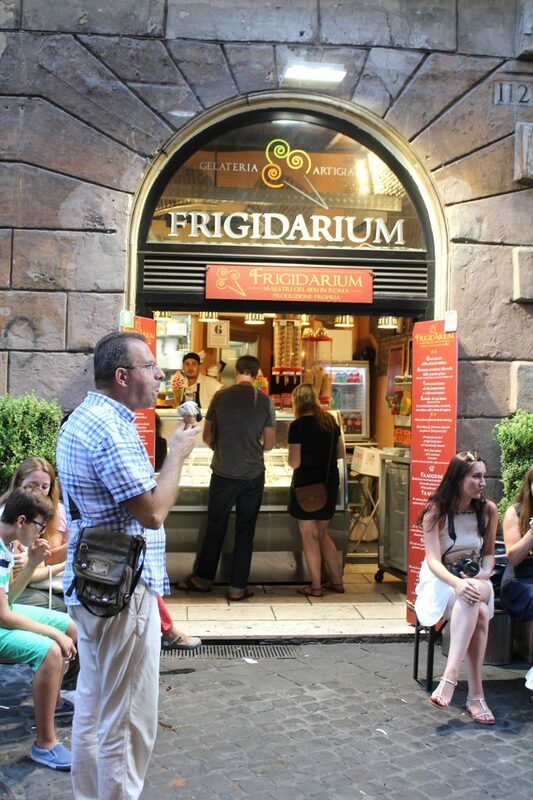 You can easily picture the situation: summer in Italy – temptation is everywhere with those delicious gelatos! 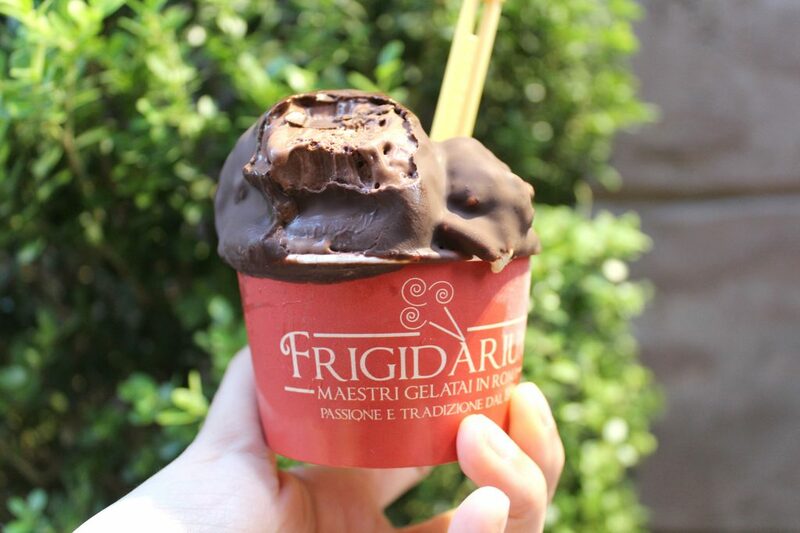 You see gelaterias everywhere and let’s be honest: finding a bad gelato in Rome is almost impossible. 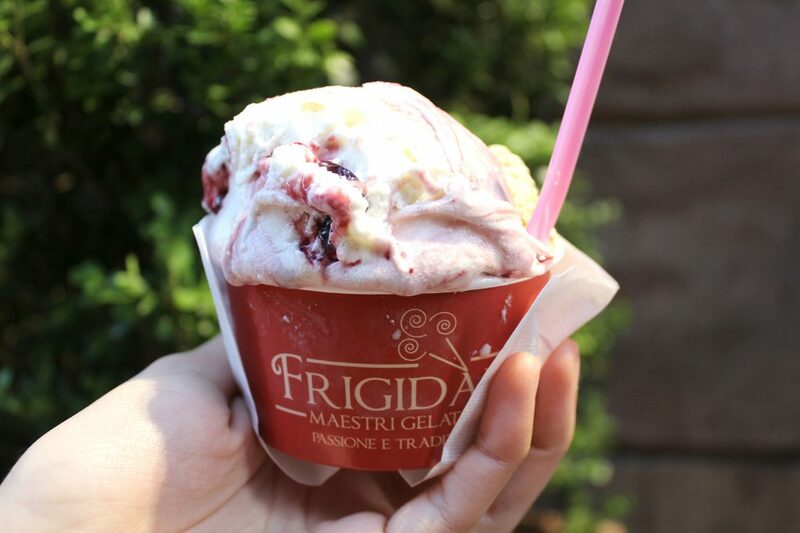 If you have been following my posts describing the different gelaterias in Rome I visited, you might noticed I’m kinda always ordering similar flavours. Why is that? Well, if I want to pick the best, I have to be able to compare them, right? Mine: pistachio and amarena (a small bitter and dark Italian cherry). Hubby: chocolate and tiramisu with chocolate coat. Chocolate and tiramisu with a chocolate coat. I loved their amarena flavour, it was delicious to find the whole black cherry mixed in. The other half, pistachio, was good, but it had a mild flavour, you know, lacking punch? I would prefer something stronger. Hubby loved his choices, especially that chocolate coat. A very good choice, especially if you happen to be around Pizza Navona. Staff was super friendly and offered me to taste before I ordered. They don’t have that many flavours available, but I guarantee they will have the most usual choices.